You don’t have to unroll too many scrolls of the Torah to find the mention of vineyards, winemaking and wine. After all, the first thing Noah did after his voyage was plant a vineyard. Why? Wine holds a special place in many Jewish life and religious traditions, from the celebratory Purim to the weekly Shabbat dinner, when a prayer is said over wine to sanctify the meal. 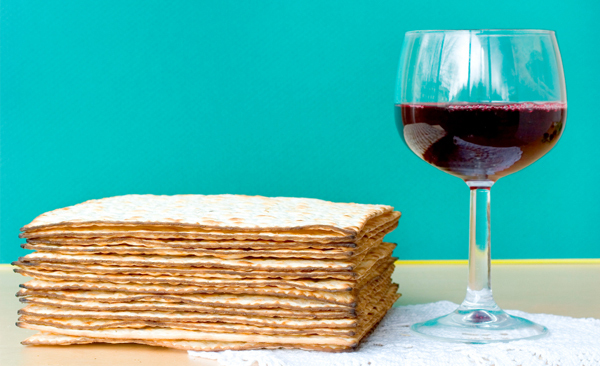 But as every mischievous and curious Jewish kid knows, Passover is the big wine night. Everyone gets four servings of wine, including children some of the time. The rub, of course, is that the wine is sickeningly sweet kosher wine (It’s no wonder why Elijah takes such small sips). Wine’s preeminent position in Judaism has as much to do with geography as it does with God’s law. The land of Abraham and Isaac is a great place for grape growing and it has been long before Jacob dug his well. Barring divine intervention, however, if Moses found the Promised Land in Norway, wine would not, could not, find its place of importance in Jewish rituals. The abundance of winemaking grapes in the eastern Mediterranean made following Kashrut rules possible. So why aren’t we all enjoying fruits of the vine from Israel, which boasts several ideal grape-growing locations? You’ll have to skip back a couple paragraphs to the “K” word for your reason. In the minds of most wine consumers (including Jewish wine consumers, who, oye vey , should know better), kosher wines conjure up visions of Manischewitz Concord Grape Wine.